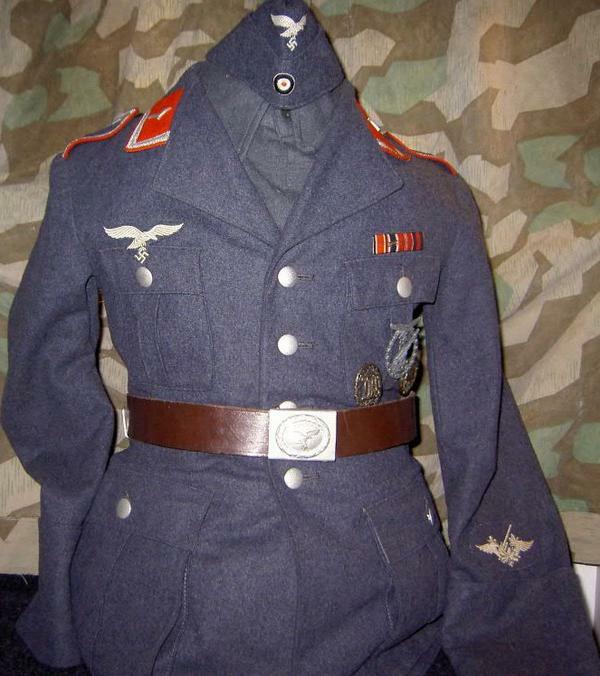 I would like to start a running database of issued LW tunic stampings. Bear in mind that this data will only be available on depot/issued pieces. Privately tailored pieces will not have these stamps. Maybe we can find some patterns of distribution. Who knows what other data may emerge!! 5. III Fl. I Rgt 13. 13 Battln. Must be a reissue piece, or perhaps a Sani attached to this Company? 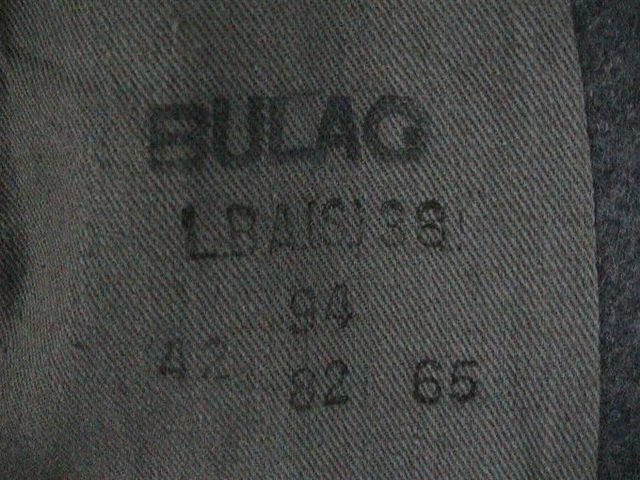 For some reason, there are two LBA Stamps on this tunic. Does this indicate a reissue? Strange with two pre war dates? Now I was informed that the (S) represented the city of Stuttgart. 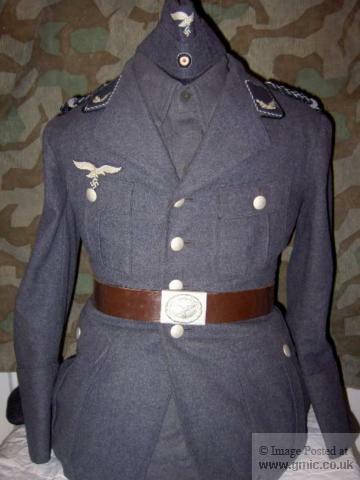 1 EM Fliegerbluse, 2nd pattern (converted to Officer). Please add yours! Any help or additions are welcome! The LBA 3 isn't mentioned, might be added in a later stadium.. Thanks Jos! Does the "LBA" mean Berlin as well? How many others are there? 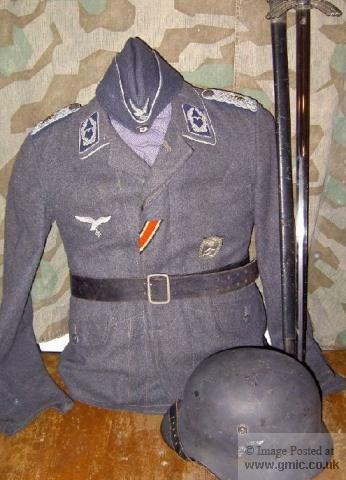 I personally don't know of any others sofar..
LBA means -Luftwaffe Bekleidungs Amt- , a kind of large depot.. There are some stamps that are plain "LBA" and without a suffix, such as the (s). Where are those from? Sorry if I am confusing. Some dificult to read: Helin ?, Helen ?, Lueas Jun ?, Ubefm ?. Wow!! You have all those tunics? I would love to see them in a new thread! No,one of my big intrest of collecting German is Stamps and Labels of KM,LW and WH.All i see i write down. WOW Nesredep!! That is incredible! Thank you. 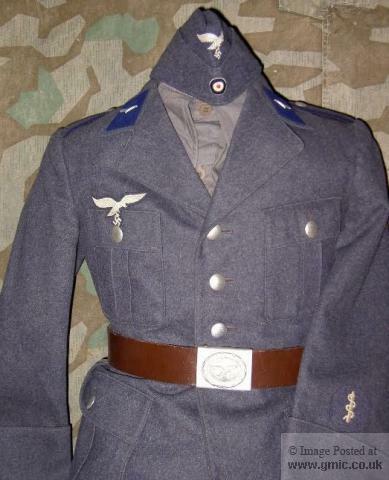 Are you continuing to collect Luftwaffe tunic stamps? Has a database been developed?